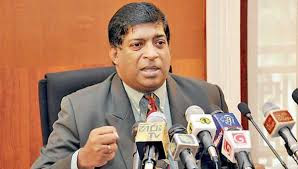 Responding to a demand made by private bus operators to abolish the proposed minimum traffic fine of 2,500 rupees, Finance Minister Ravi Karunanayake said that the proposal was made to save the lives of motorists as well as pedestrians and that the decision won’t be changed. “Why are the private bus operators so much against the law” asked the minister. He noted that a section of bus operators making such a demand amounted to a tacit admission that they are frequent offenders. Issuing a statement he said the government will not waver in its commitment to make Sri Lankan roads safer by instilling a greater sense of discipline and respect for traffic rules. He said that lawlessness, including the rampant disregard for road rules, was one of the biggest problems in the country. “Over 90 percent of the proposals received by the finance ministry in preparation of the budget called for discipline in all areas with strict adherence to the laws of the country,” he said. The motive of those who oppose the fines appears to be that they want the government to give them a free license to kill at will and get away with highway murder. The traffic fines proposed in the budget were not a revenue measure, but designed to be a deterrent to ensure that there will be no repetition of offences and there would be an improvement in the safety record of the roads. Therefore, the private bus drivers, or for that matter any other motorist, need not fear the new fines as long as they obey the rules and only those who habitually violate traffic rules will have to pay the fines. According to police reports, so far this year, nearly 3,000 people have been killed in traffic accidents making Sri Lankan roads among the most dangerous in the world. This is a dubious honour that we must shed. This also surpassed the number of people killed annually in the decades-long separatist war.